Welcome to the First Day of School scavenger hunt!!! 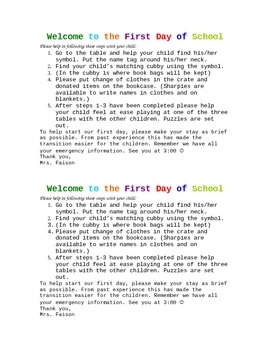 I use this as a first day activity when my parents drop their child off. Enjoy! !